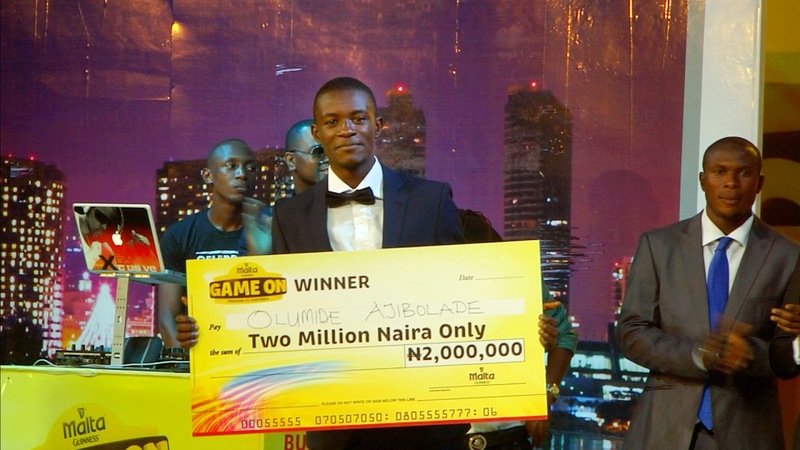 The first season of Game On, the Malta Guinness-powered reality series to find Naijas’true passion has come to an end. Celebrity guests at the finale include football legend, Taribo West; Rapper Phyno, songstress and vocalist, Waje and Omawumi; media personalities Joseph Benjamin, Adams Ibrahim, Noble Igwe, and DJ Xclusive, amongst others. The contestants in the show were groups under the passions of Fashion and Football, each team headed by Lanre Da Silva and Daniel Amokachi respectively. They showed off their skills for the final judging with Waje and Noble Igwe on the panel. In the end, Naijas true passion was finally unveiled as Olumide Ajibolade was declared final winner over Henrietta with Team Football winning 52% of the votes to Team Fashion’s 48% in the outcome of voting by Nigerians on Facebook and by SMSes across the nation.